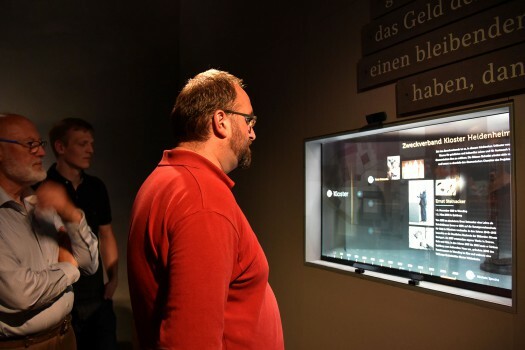 »Design and Systems« developed an interactive showcase that uses a transparent display as front glass panel. 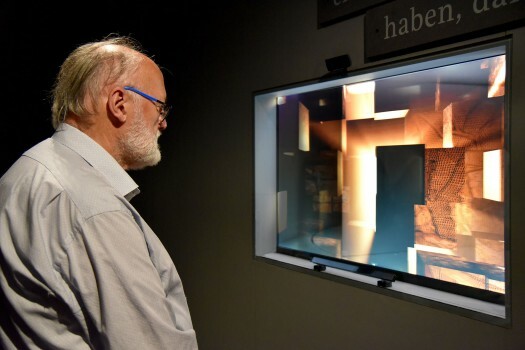 The installation conveys the four main epochs of the abbey-history of Heidenheim. 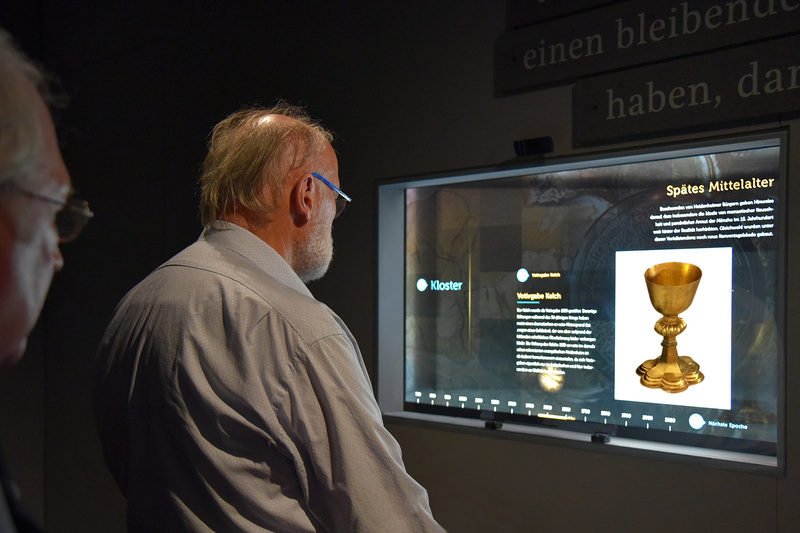 Visitors can interactively place the different original exhibits (one for each period) while using an eye-tracking-system. Behind the transparent display a turntable rotates the objects. By the line of sight the system determines which object or detail currently is watched or draw further interest. While looking to a »point of interest«, the viewer gets further information (text, image, sound or animations) displayed on the transparent front-screen. Not only the exact gaze-direction, but also the eye-position is tracked. So the visual content can be augmented accurately in realtime with the exhibits. Analog objects get an virtual information-layer – a complete new and innovative approach of designing information. All inputs and interactions are completely intuitive – only with the viewers gaze.